I have proven myself to be superior to some other veteran game journalists in the past week. No, not because of amazing gaming skills, but rather my ability to download the correct files for a game. I know, next thing you know I’ll be inserting USB cables on my first try. Ever eaten too much and felt the need to loosen your belt but it’s rude to do at the table? What about when you’re walking and suddenly your belt feels too lose but you’re embarrassed to tighten it? 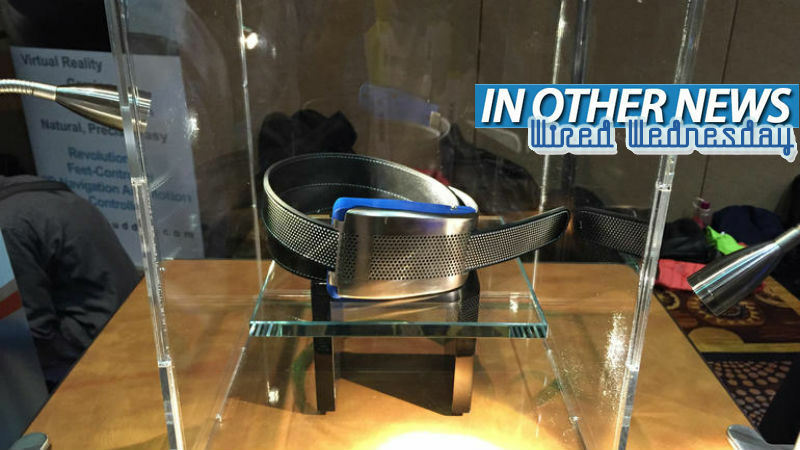 Now there’s a solution with Belty, a smart belt that slims or expands depending on your waistline. No, this isn’t a joke, it’s the future of tech. In other news: Twitter battles don’t always include Justin Bieber, robots are disappointing and Facebook will protect us from fake news. Here’s all the news we didn’t post today because we were too busy laughing at fake guy gamers.